Ready to Make the Move: Reading the Job Description – Giving Tree Associates, Inc. Welcome back to our series on hiring and the job search. In my last post, we discussed the challenges professionals face around making a decision to leave a current nonprofit employer. Now let’s assume you are at a place where you know you’re ready to look – what comes next? First, let’s talk about reading the job description. Once you feel ready to leave, you might find yourself spending a lot of time on job boards and organizational websites. Good idea. But how do you know if the jobs listed are right for you? What are the tricks to understanding what an employer really wants? 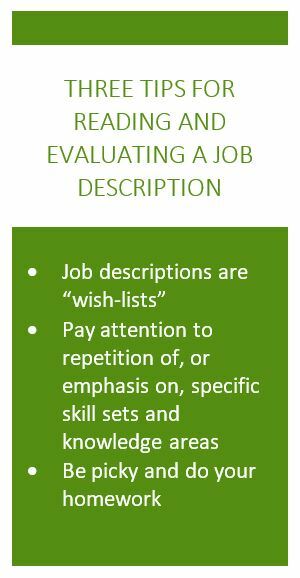 Job descriptions are “wish-lists”: i.e. – they may not end up representing the successful candidate’s exact skill set and qualifications. Therefore, don’t rule out a position because you can’t check off every box. Ask yourself if the position profile feels like it describes you (your experience, expertise and skill set). Can you answer “yes” to most of the preferred qualifications listed? If not, and you don’t have anywhere near the kind of experience listed (number of years in the field, areas of expertise, campaign experience and gift levels), move on. Don’t try to represent yourself as something or someone you’re not. The danger with this is that once you begin your new role, you may not be prepared to succeed! Pay attention to repetition of, or emphasis on, specific skill sets and knowledge areas: You’ll notice that employers tend to mention important words, phrases or areas of expertise several times within a description. For a major gifts officer, these might include solicitation, cultivation and stewardship. 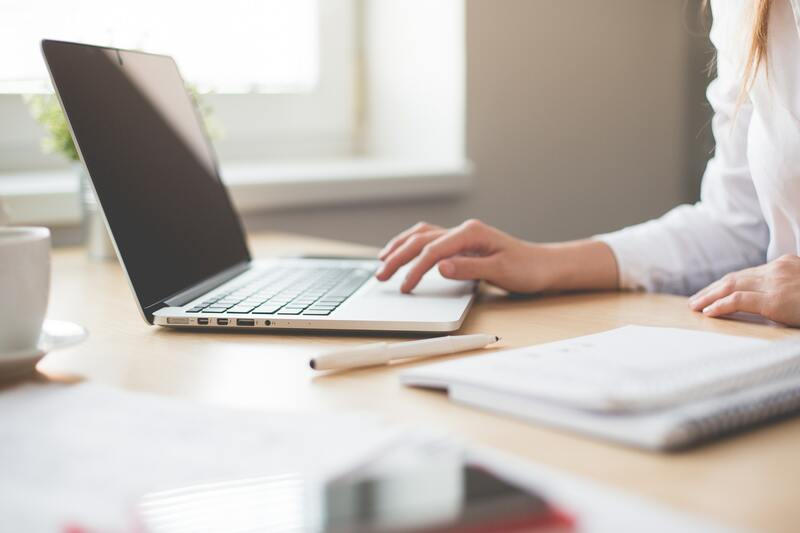 If these are areas of strength for you – take advantage of this fact and emphasize these skill sets in your cover letter (and during the interview). Know what to “dial up” about your experiences based on the job description. Use the exact language the employer has used to describe your expertise – i.e., if they use the word “solicitation”, you should too (even if you would normally say “canvassing” for you Canadians out there). If they talk about gift “upgrades” to describe achieving the increase, use that same language. This is important because they can more easily compare your skill set to their desired profile. Be picky and do your homework: When you are ready to leave, it’s tempting to apply for every job that looks like it could be a good fit. Be sure to read about the organization’s background and history (good job descriptions include these) prior to applying. 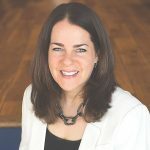 Ask around (in the nonprofit community) about the organization’s culture and reputation. When I read cover letters from candidates who have really done their homework, and give me a true sense of why an organization’s mission is a good fit on a personal level, I am much more interested in continuing the conversation. Cover letters that sound generic are a big turn off. So, figure out what moves you on a personal and professional level and talk about it in your introductory message and in the interview. Don’t apply for every job on the market – your lack of focus will be obvious to potential employers and end up working against you.